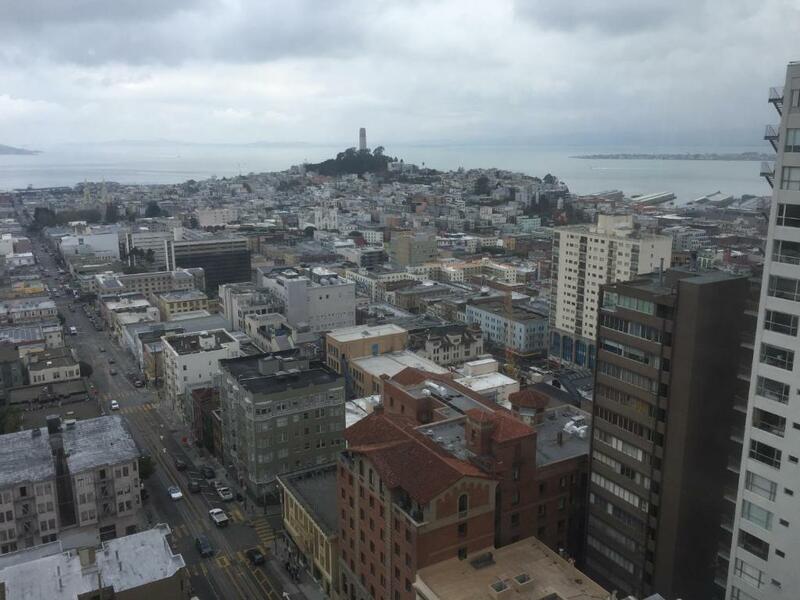 Atop Nob Hill this landmark San Francisco hotel features luxurious rooms with terry cloth bathrobes. A full-service spa and 3 unique dining experiences are available on site. 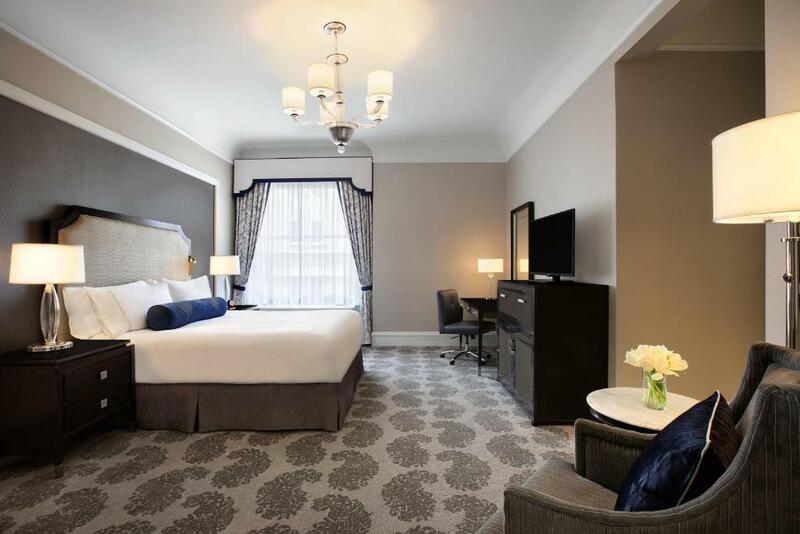 Fairmont San Francisco is the only hotel in the city where all 3 cable car lines meet.High ceilings an innovative pull-out minibar a modern desk with built-in USB ports and bedside reading lights are just some of the features in all rooms or suites. 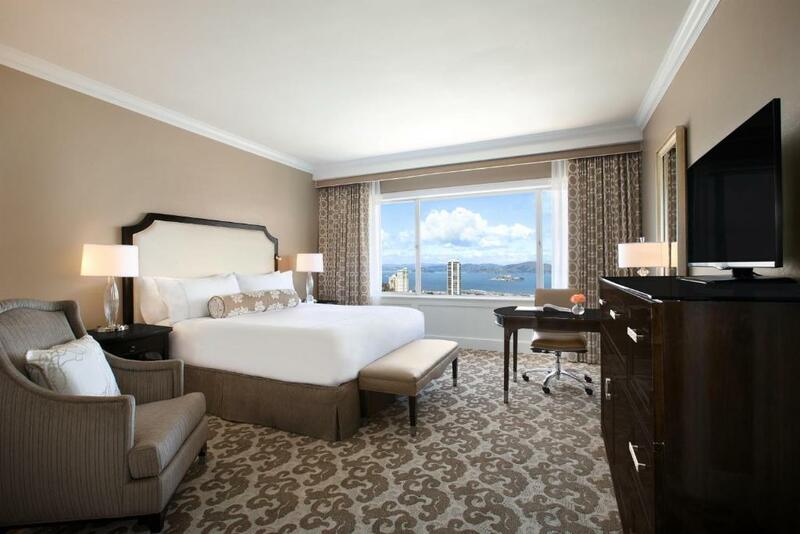 Workout gear including athletic shoes is provided for guests' during their stay at Fairmont San Francisco. 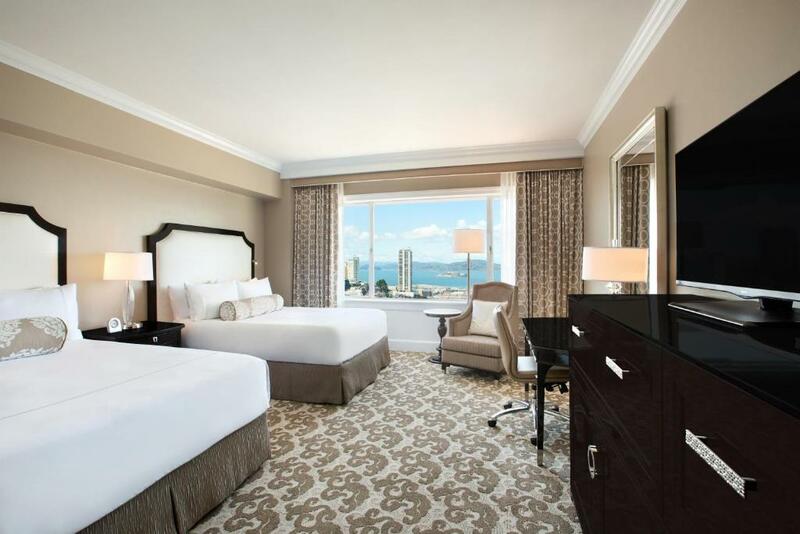 Modern flat-screen TVs and an iPod docking station are also included in each room.Picturesque bay or city views are featured in select rooms and suites at Fairmont San Francisco. 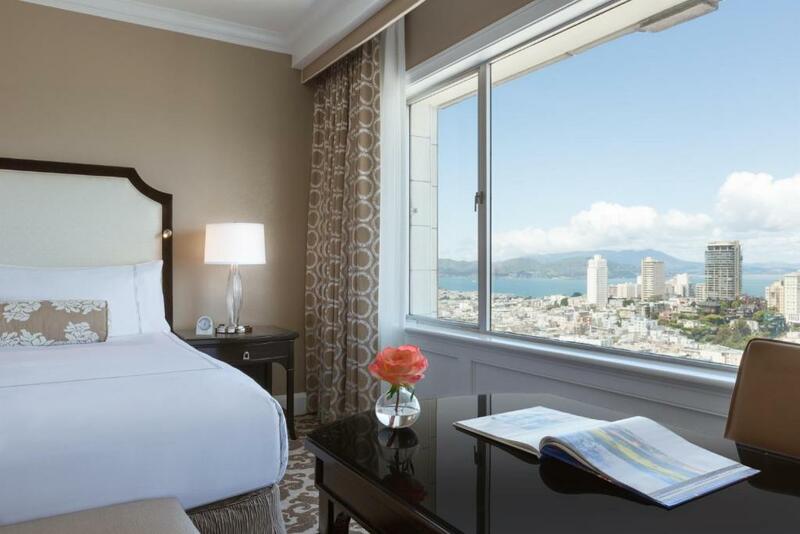 Panoramic views of Coit Tower Golden Gate Bridge Bay Bridge Transamerica Pyramid and Angel Island are featured from select suites.Fairmont San Francisco's Tonga Room & Hurricane Bar serves Asian cuisine and features live entertainment. Laurel Court Restaurant & Bar holds a traditional afternoon tea service each weekend. Guests can enjoy a Honey Saison Beer at the bar which features honey supplied from beehives located on the property. Specialty cocktails including a Fairmont Old Fashioned are also served. Caffe Cento serves specialty coffee Ghirardelli chocolates breakfast pastries and lunch on-the-go. Caffe Cento is a great spot to grab a coffee before taking a ride on a cable car. The hotel offers full American and continental breakfast buffets and a selection of Asian breakfast items.Guests can enjoy the equipment saunas and exercise classes at the on-site health club. 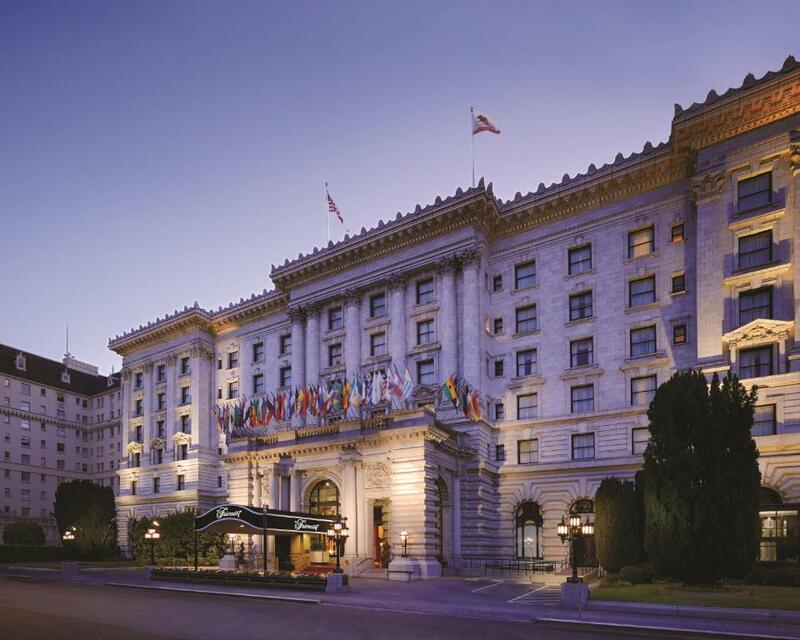 A variety of shops are also located at the hotel.Fairmont San Francisco is 5 minutes' cab ride to the Ferry Building and is 6 km from the Golden Gate Bridge. San Francisco International Airport is 20 minutes' drive away.